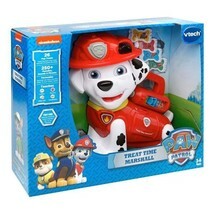 Features Presenting Treat Time Marshall by VTech Treat Time Marshall comes with 4 modes; Letter Treats, Learning Rescue, Search Rescue and Music Time! Feed Marshall pup treats and he will teach you colours, letters, phonics firefighter facts, music and more! Featuring the real voice of Marshall Encourages imaginative play, basic maths skills, llanguage development and more! Suitable for ages 3 Assembled Dimensions:102 x 306 x 300cm Contents:1 x Paw Patrol Treat Time Marshall Batteries Required: 2 x AAA (included) Product Description Ready for a Ruff-ruff Rescue! 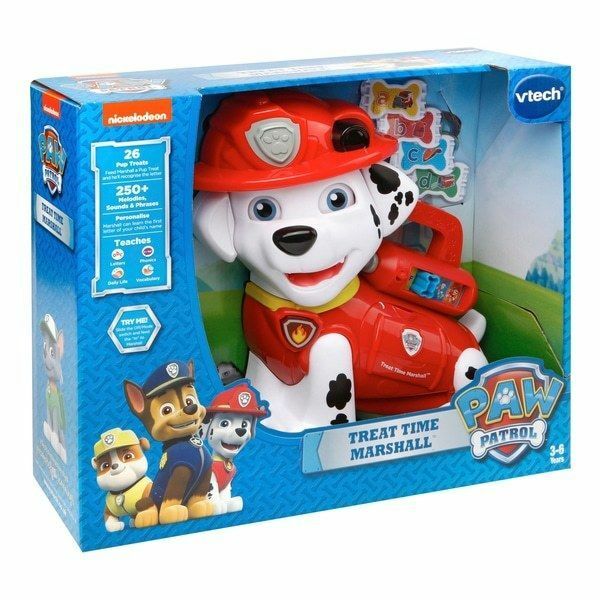 VTech presents Paw Patrol Treat Time Marshall, featuring the real voice of Marshall! 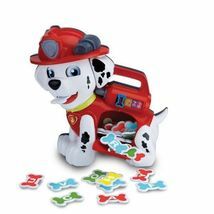 Treat Time Marshall comes with 4 modes; Letter Treats, Learning Rescue, Search Rescue and Music Time. 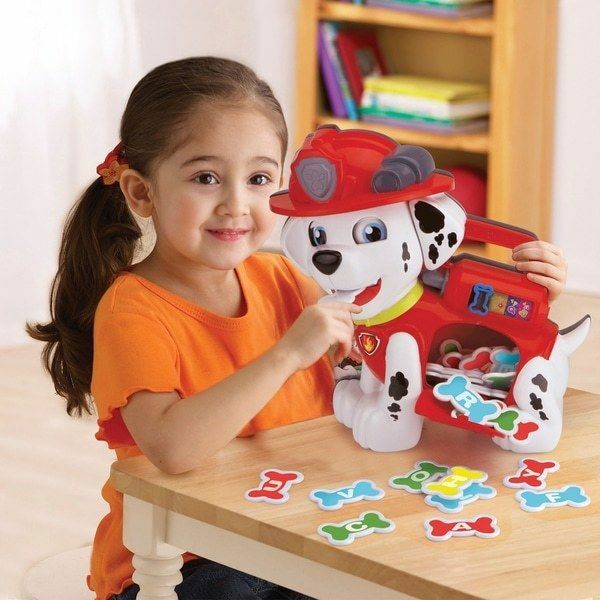 Feed Marshall treats to learn colours, letters and phonics! 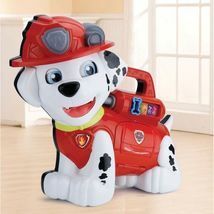 That’s not all; Marshall teaches fire fighter facts, plays music and more!